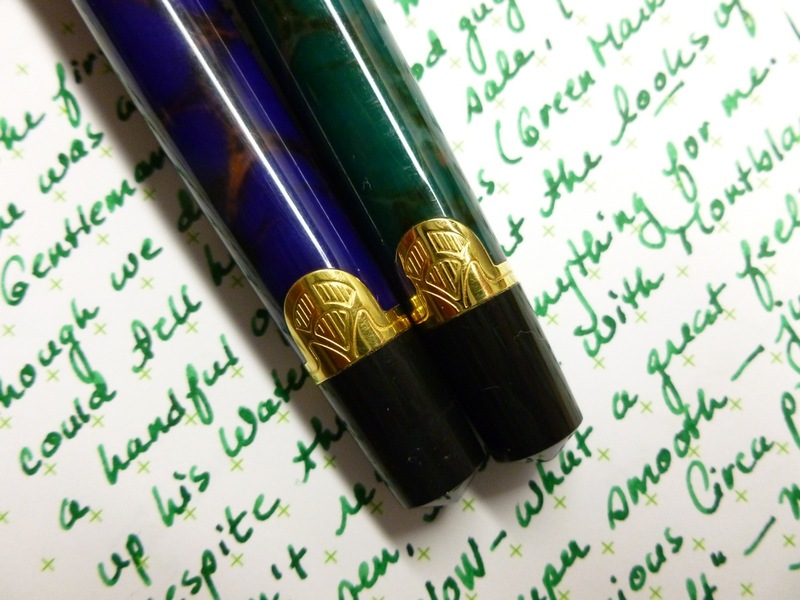 If you were trying to set up the Waterman Phileas on a blind date, you’d probably say that it has a “great personality”— which is code for “not that great looking.” With its “marbled” plastic body, gold furniture, and art deco trim, this isn’t a pen that catches your eye. Some may even consider it a little bit ugly. 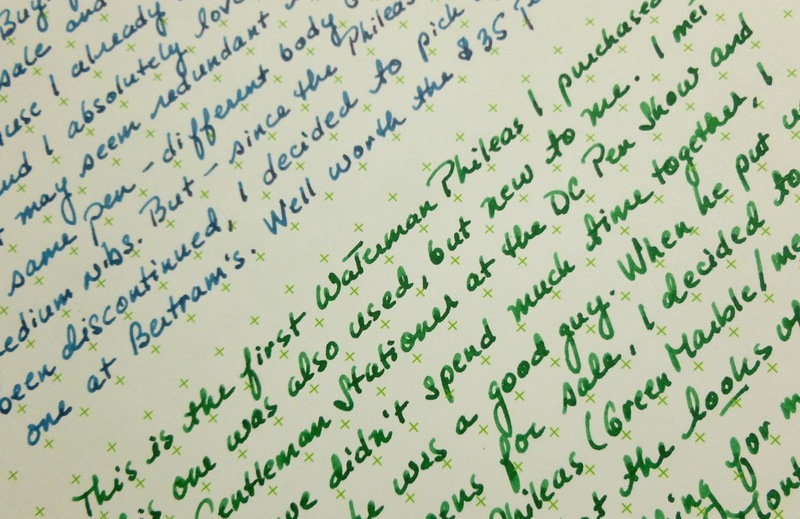 I met The Gentleman Stationer at the DC Pen Show, and though we didn’t chat for long, I could tell he was a good guy. 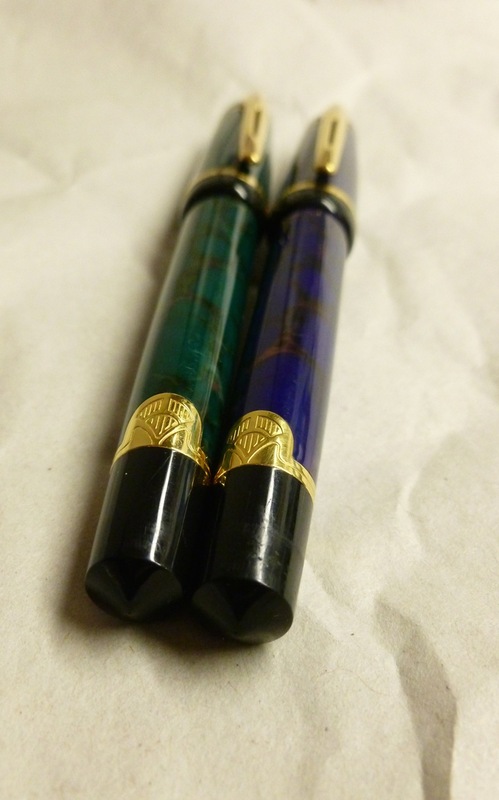 So when he put a handful of his “surplus” pens up for sale, I took a look, liked the price of the Waterman Phileas he’d listed, and decided to go for it. 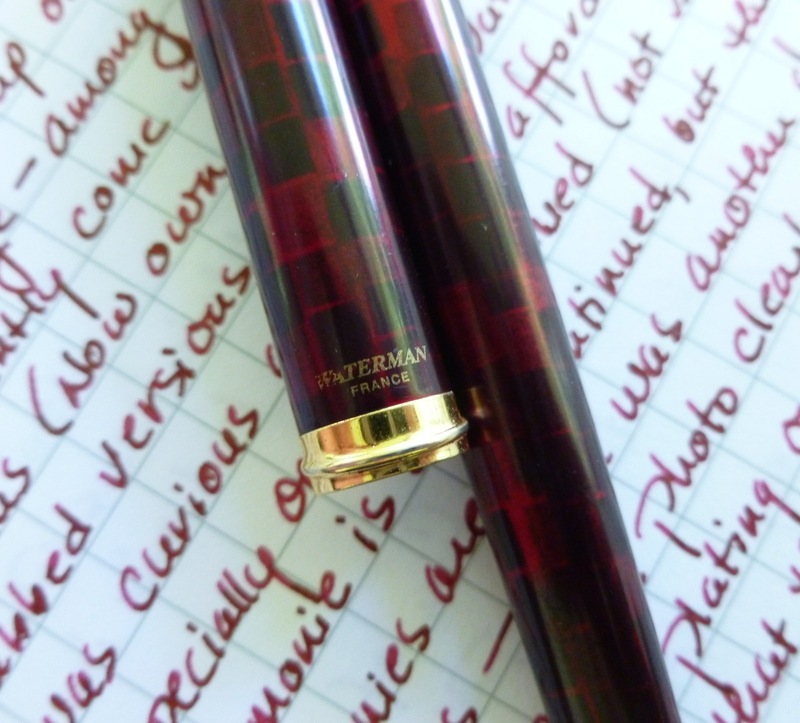 Up to this point, I didn’t own any Watermans so that was some of the draw— the chance to try a new-to-me brand at a good price. And like I said, when the pen arrived, its looks struck me as unremarkable, and sort of not my style. No chatoyancy, no gorgeous swirls, no rich colors. Oh, well, I thought, it’s only $35. Since the body on this one is green simulated marble, I inked it with Montblanc Irish Green and sat down with it and a piece of Tomoe River paper. 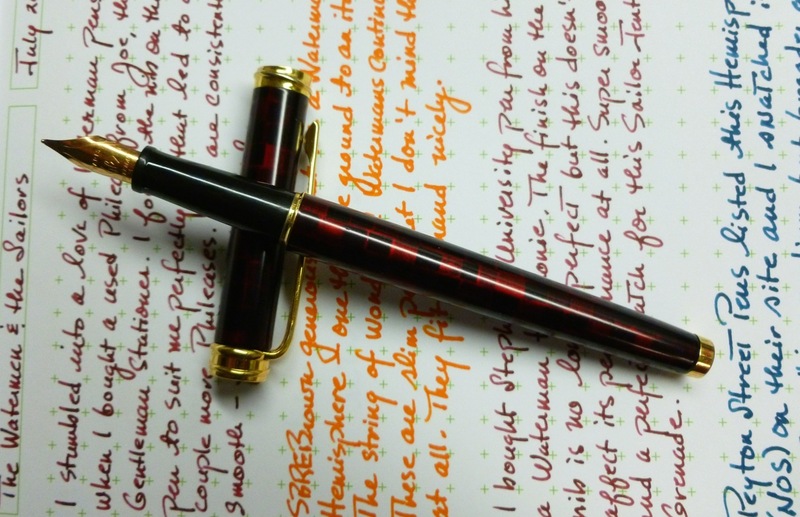 Despite the “meh” looks, the minute that nib hit paper, I was a smitten. As I doodled and scribbled, I fell deeper in love with this Phileas, so much so that it actually started looking kind of cute. That funny looking pen shot an arrow right through my ink-loving heart. 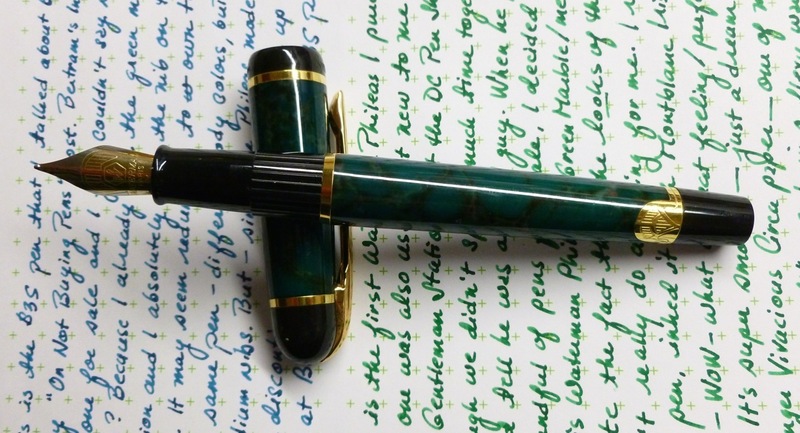 I’ve had this green Phileas continuously inked since it arrived in November 2014. It’s become a go-to pen for letter writing and journaling, or just doodling to take the edge off of a stressful day. So, yeah, smitten. Who woulda thought?! A few weeks ago I noticed a sale going on at Bertram’s Inkwell, so I took a look (despite my vow to rein in pen purchases this year). 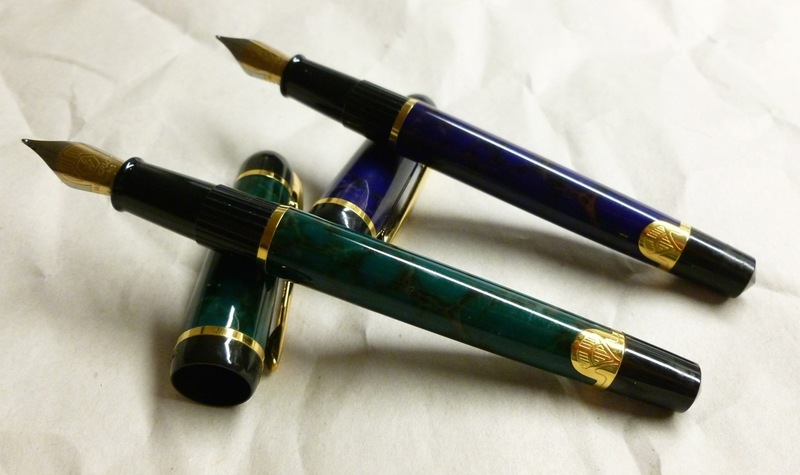 And well, whatta ya know, a blue marble Waterman Phileas was listed—again for just $35. I’d made that pen-buying pledge so I mulled this over for awhile before ultimately deciding to buy. (Bert offers a 30-day/100% purchase satisfaction guarantee, so that pretty much clinched the deal.) 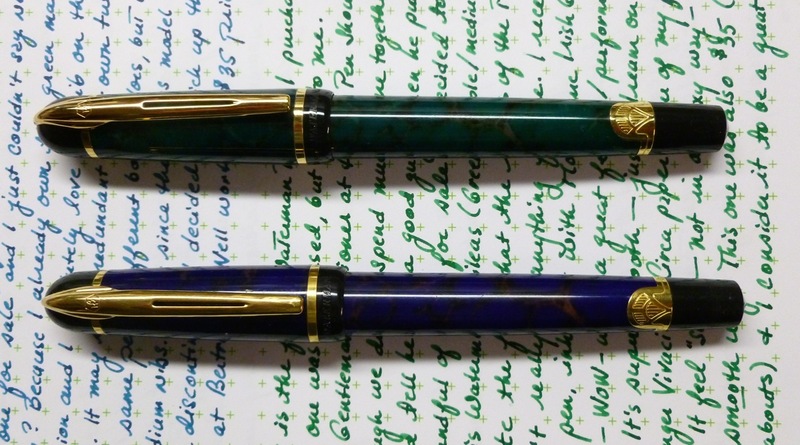 Even though I already own the green version, the fact that the Phileas is a discontinued Waterman model made this find all that much more appealing. 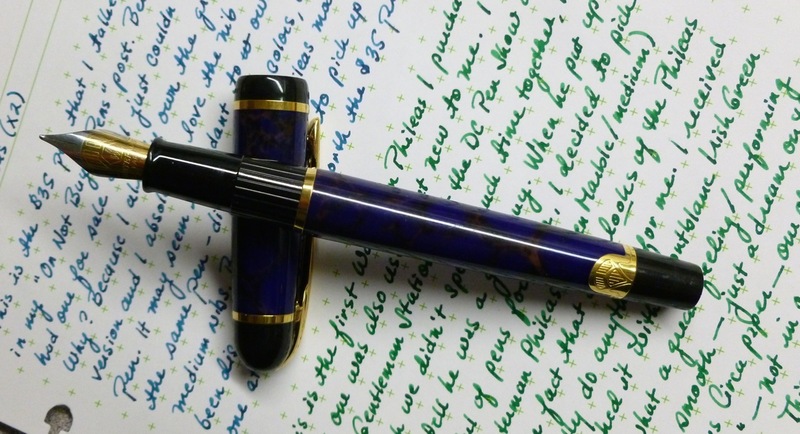 When the pen arrived, I noted that what is called “blue marble” is actually quite purple. I think Wahl-Eversharp’s Everberry ink—a nice purply blue—would be a great match, but for its first fill I went with Sailor Yama Dori. That ink’s not really a match, but it’s a color I love and use often for letter-writing (especially during this InCoWriMo month). 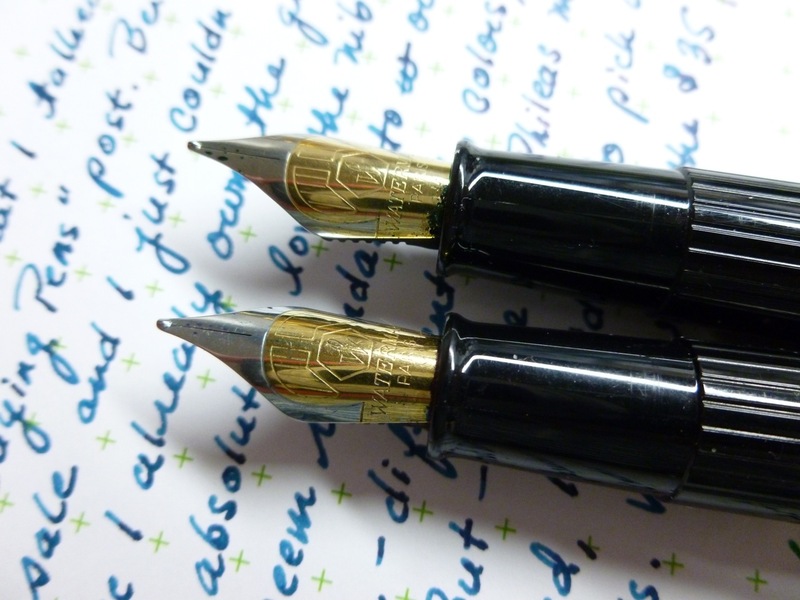 I wondered if the first nib was a fluke, but no—this one is just as nice, though maybe a touch finer. That’s kind of nice—the fact that they don’t write exactly the same even though they’re both medium nibs. Both are phenomenally smooth—kind of “soft” feeling. I don’t mean that in the sense of flex (NOT like the softness on my Visconti Opera Elements nib), but in the way it glides over paper. Whispery. So nice and yet so hard to describe. 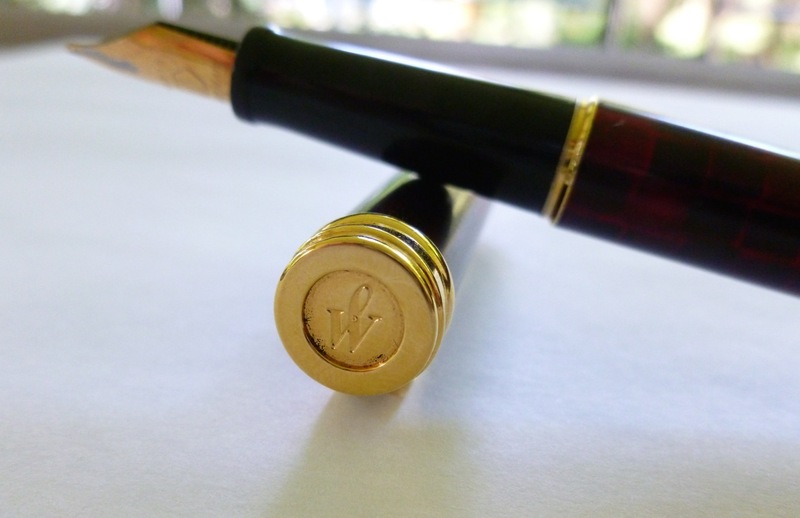 Some quick research reveals that the Waterman Phileas model is from the late 1990’s and is no longer produced. That’s too bad because this pen would be absolutely perfect for a fountain pen novice—a really lovely nib at a great price. (Prices are kind of all over the place on these, no doubt due to the fact that it’s been discontinued.) 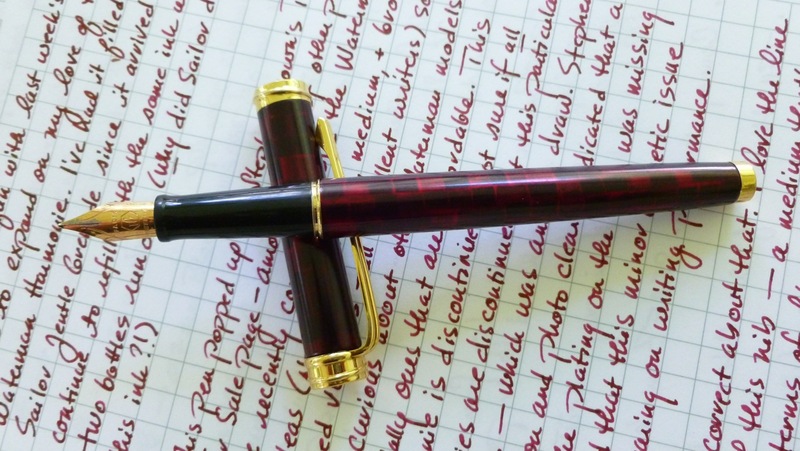 If I make it to the DC Pen Show in August, I plan to keep my eyes open for some of the other colors—red marble, grey marble, and black—or other nib sizes. 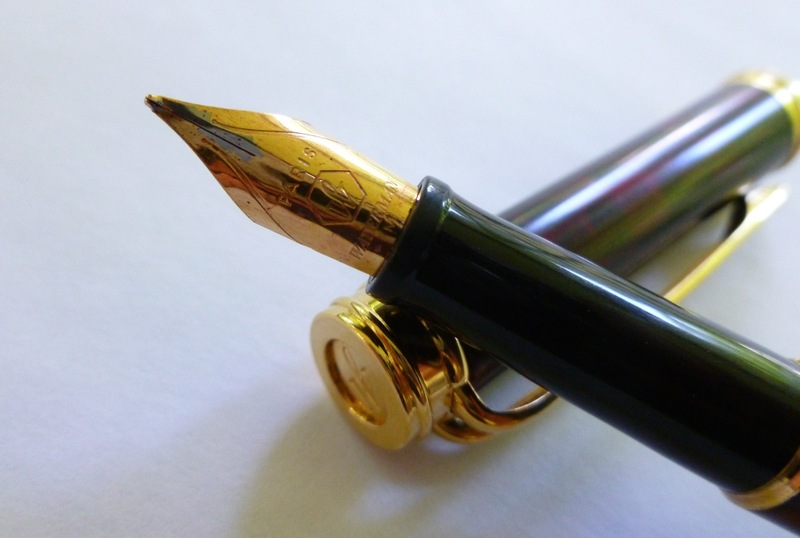 I’ve read that the broad nib is particularly glorious. The cap snaps on and off and posts well. The filling system is cartridge/converter, which is fine by me—easy to clean and maintain. 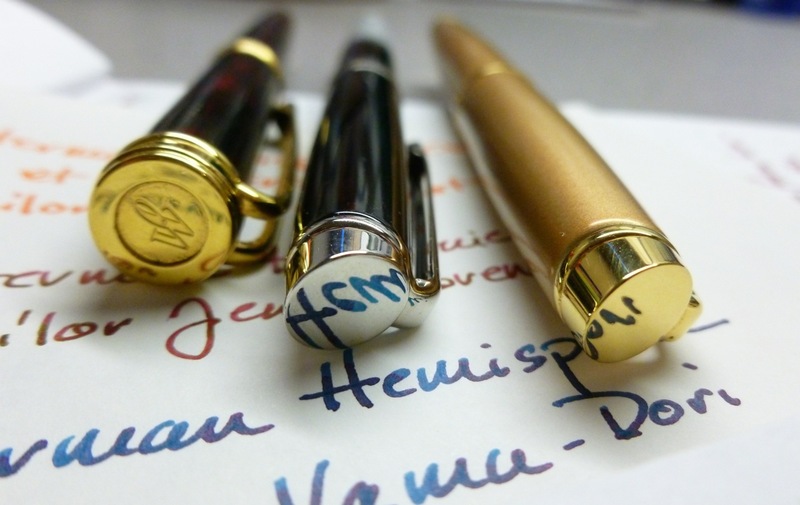 I do like the looks of the two-tone steel nib that sports just a hint of that art deco vibe. 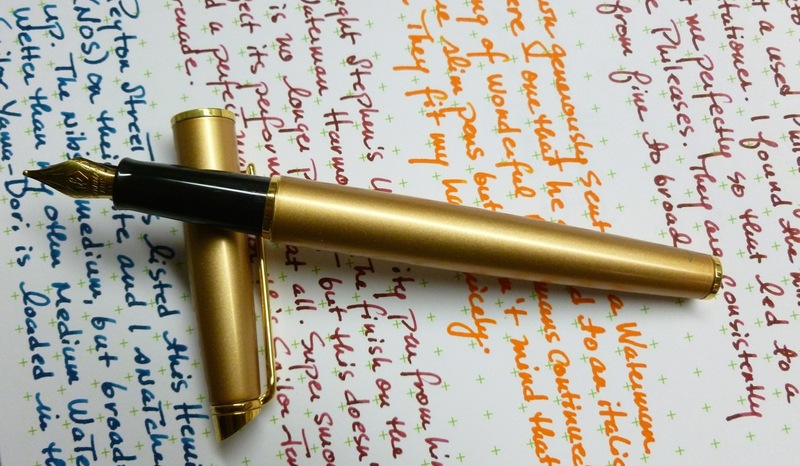 The pen is light (24g; 17g body, 7g cap), but not overly so—sort of “just right” in hand. 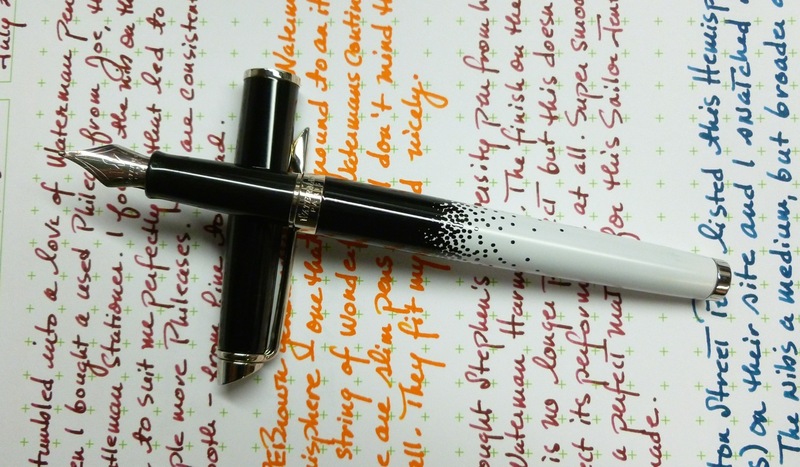 It almost feels like it disappears, but again, I think that’s because the nib puts you in a little trance. Well, it puts ME in a little trance. 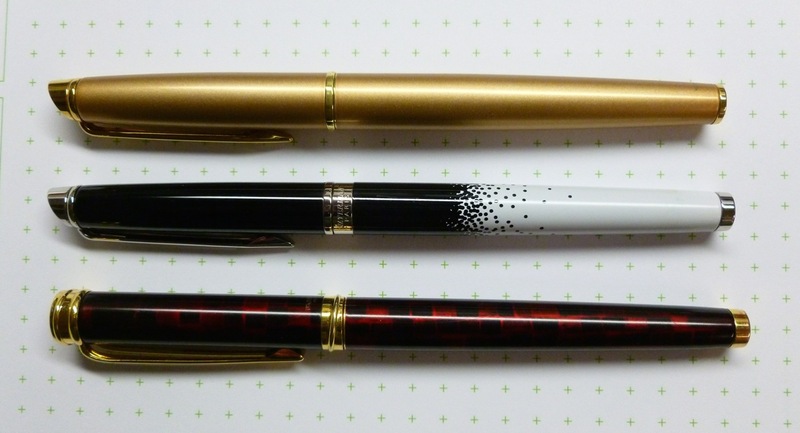 We all know that saying, “Not everything that glitters is gold.” The Waterman Phileas has taught me that the opposite is also true—not everything that’s gold (or super smooth steel) glitters. Just like that blind date with the great personality, you’ll soon find that there’s something very interesting going on under the unassuming surface of this pen. 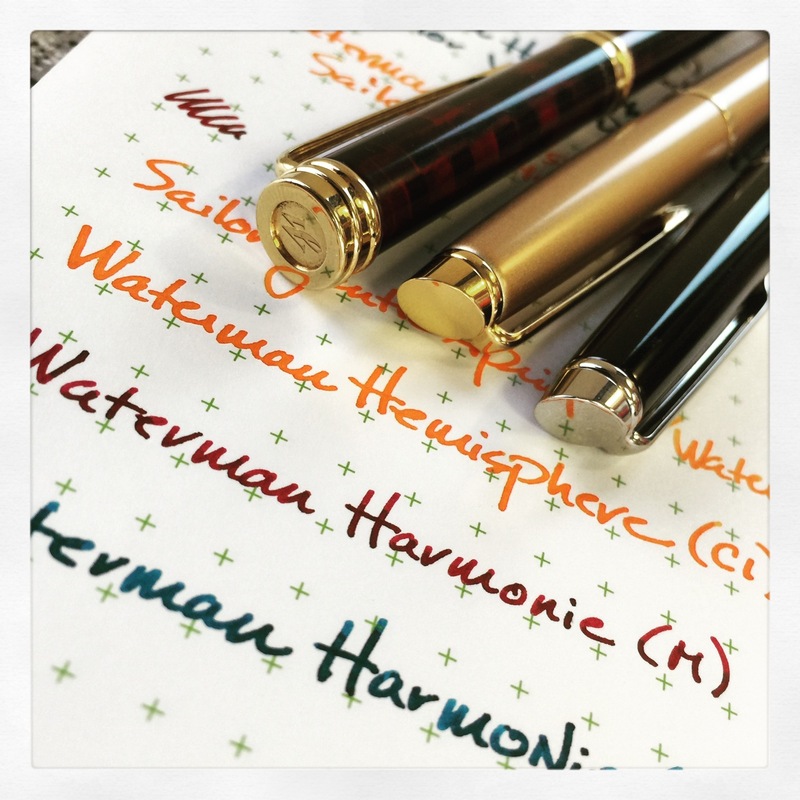 The Waterman Phileas—the more you get to know it, the better it looks.